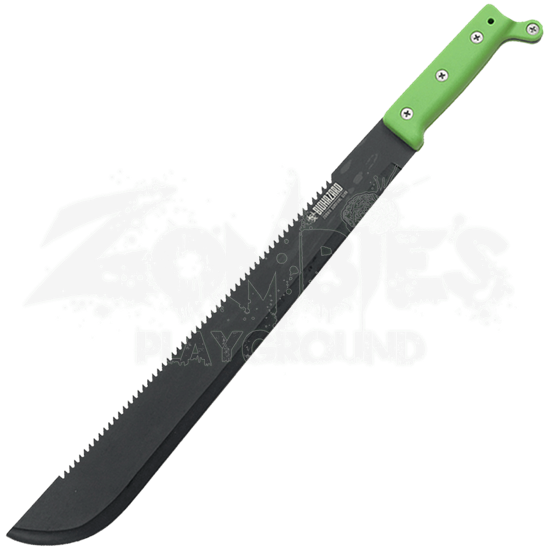 The all-purpose capabilities of a Latin machete make it a prized survival tool, especially during a zombie outbreak. 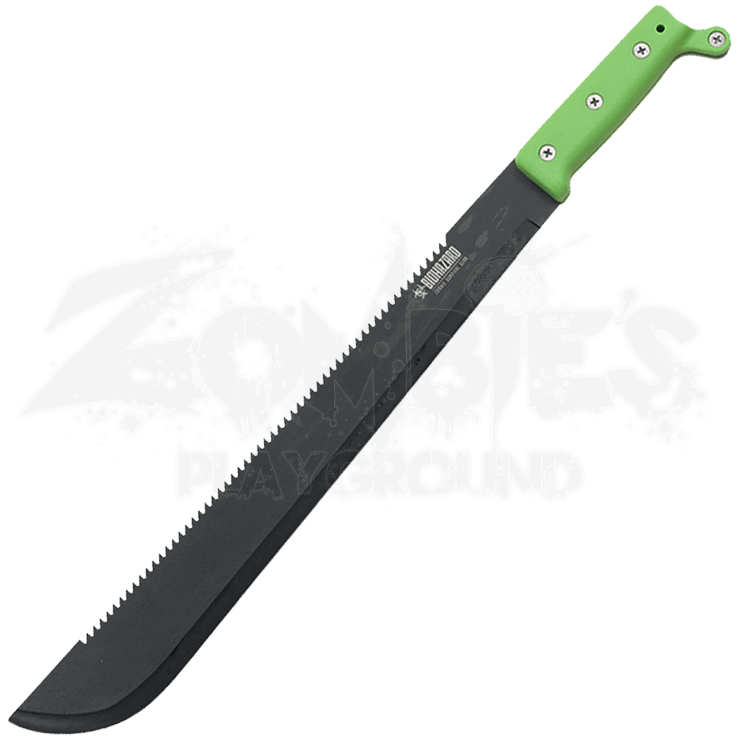 The Green Biohazard Sawback Bush Machete offers extra versatility and power for those who rise against the horde. Saw tooth serrations run along the spine of the full tang blade. A black finish covers the stainless steel blade while the green plastic handle supports a firm hold. The knob at the end of the grip assists even further in securing your grip. This helpful survival tool comes with a black nylon sheath.